Can you believe it? The kickoff for the largest K-12 sustainability education campaign in the nation is just one month away! National Green Week, GEF’s flagship program, has certainly grown over the years. In 2014 we expect the most participation yet from schools, classrooms and youth groups across the country and the world! There is still time to join the movement by signing up (it’s free) and planning your very own Green Week using GEF’s online resources. Don’t forget: GEF is giving away hundreds of prizes to those who sign up before February 3! You can make any week between February 3 and April 25 your Green Week. 1. First things first. Sign up for Green Week by creating a free member account with GEF. Here, you can indicate the number of students who will be participating and your school’s or group’s information. Everything is kept private. As a member, you’ll receive a monthly member newsletter with the latest news from GEF, special discounts on GEF Institute’s professional development courses, and offers from our sponsors. 2. Next, you should pick your week. If you can only participate for a couple of days, that’s OK, too. 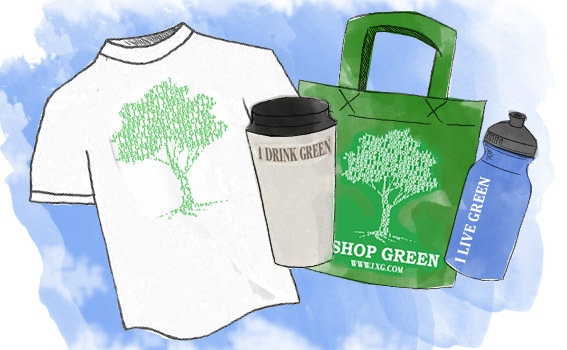 Choose any week between February 3 and April 25 to be your Green Week. Hint: you could combine Green Week with your Earth Day celebrations. Earth Day is April 22, 2014. Once you know your dates, you can start spreading the word! 3. Now it’s time to choose your sustainability theme. An entire school can focus on a single theme, such as energy savings, or each classroom can pick their own theme. It’s up to you! GEF offers six sustainability themes, each with their own 5 day lesson sets for different grade levels, activities, recommended reading and more! 4. Once you know what sustainability theme you’ll focus on this year, explore that section of GEF’s website to select lessons and activities to conduct during Green Week. Don’t forget that there are plenty of additional lessons available in the lesson clearinghouse. You can start gathering the materials you may need and prep the students. If you don’t have time for an entire week of lessons, just choose one or two, or conduct a sustainability related project. For example, you could do a school yard cleanup effort, plant a tree, or pledge to bring reusable snack containers for one day. 5. The last step is applying for a Green in Action award. Be sure to take photos and gather art samples or essays from your students during your Green Week. By sharing your story with GEF you’ll have the chance to win $250 for your classroom! This entry was posted in education, National Green Week, Sustainability, sustainability education, Uncategorized and tagged environmental education, green education foundation, Green Thumb Challenge, national green week, sustainability education. Bookmark the permalink. 1 Response to National Green Week Kicks Off in Just 1 Month!